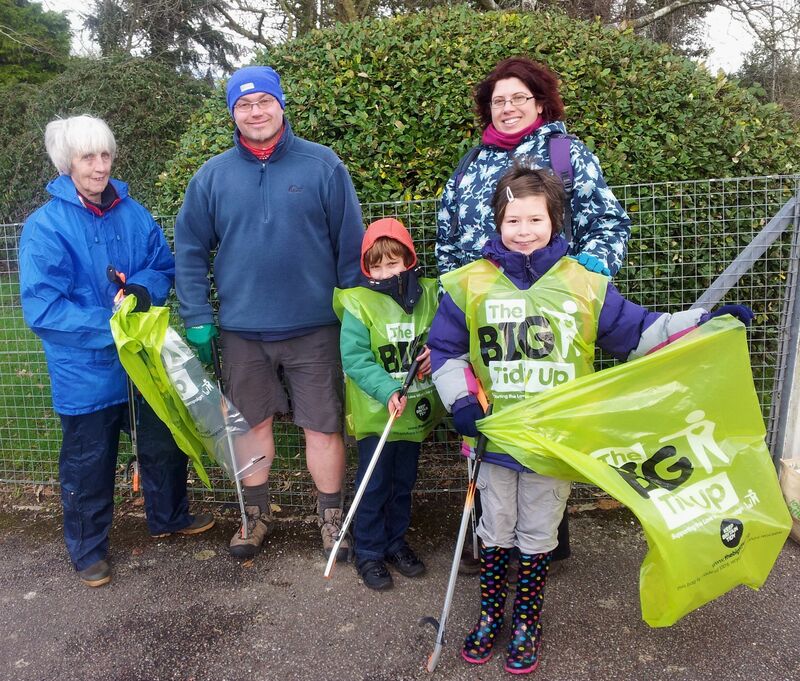 After being postponed due to the snow, our litter pick took place today in the beautiful winter sunshine. It was quite windy though and we got even away without a rain shower. We spent a couple of hours picking up rubbish around Hazelwood Close, Holly Close, Spindlewood Close, Gronau Close, Brand Road and Manor Crescent. We picked up more things we could recycle than stuff for landfill, collecting a lot of glass bottles, cans and plastic bottles. We also found some interesting things along the way like an old umbrella, a pair of tights, gloves, socks and a broken frisbee. There were lots of sweet wrappers, can tops that have fallen out of the recycling bins, crisp packets and bits of paper. We also found loads of elastic bands in all the streets which we reckon is from the postal staff dropping them from bundles of letters, so we will be contacting the post office to ask them to stop doing this. 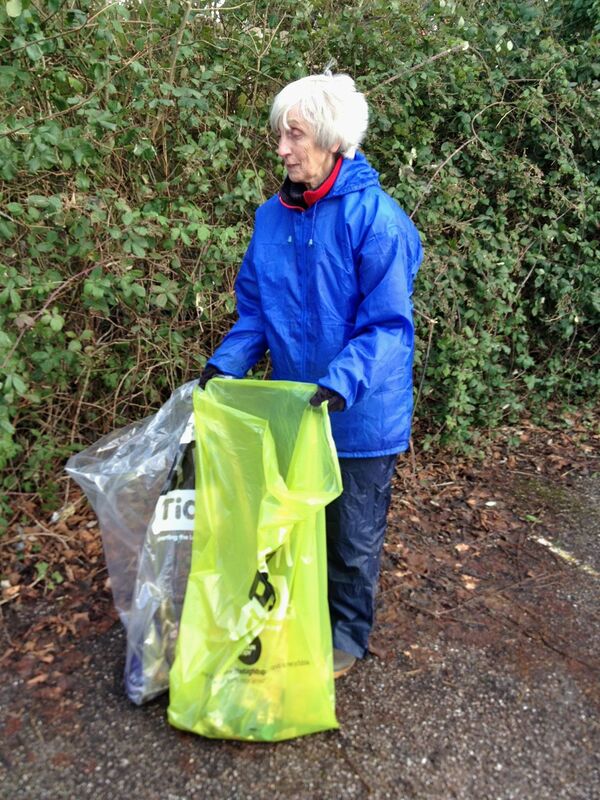 We have lots of Keep Britain Tidy tabards, bags etc left if anyone is thinking of doing a litter pick in their area – if you’re near us you can have some of ours. We do plan to do one again though as it was very a satisfying thing to do. Take away items for FREE! And there’s a free tea/coffee for everyone! Yes, it’s true: pay £1 entrance, then everything is FREE! The more people bring, the greater the choice on the day. Nothing to bring? No problem, just come along and find a freebie anyway! Just found some carrier bags full of rubbish in my bin which are not mine – dig a bit of digging and found a letter – belonging to a neighbour of mine a few doors along! Why are they putting their rubbish in my bin? Quite outraged actually especially as these bags are full of plastic & cardboard which I recycle & don’t put in landfill. Have they filled up their own landfill bin with loads of stuff that can be recycled and then started filling up their neighbours bins with the rest of their rubbish? According to my council contacts – this is considered fly-tipping and if it happens again, they need reporting and may be fined! Local councillors met in Honiton on Monday 31 October to discuss how to improve waste management and recycling in the town. 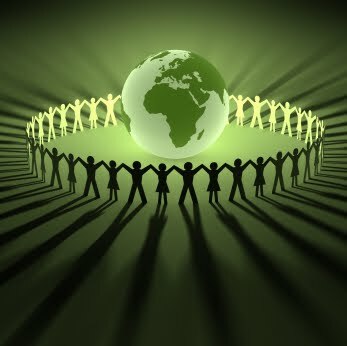 Although East Devon boasts a relatively high recycling rate of 50% compared with the national average of 41.2%, Sharon Pavey – Honiton Town Councillor and coordinator of the East Devon Green Party thinks there is room for improvement. So she invited East Devon District Council’s Environment Portfolio holder Councillor Iain Chubb and Recycling Champion Councillor Roger Giles over to Honiton. 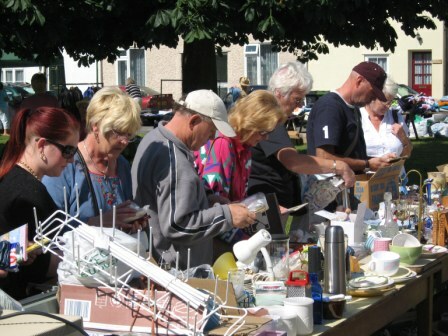 Councillor Pavey is now one of 15 new ‘Recycling Champions’ on the town and parish councils in East Devon with responsibility to promote reducing waste through re-use, repairing and recycling rather than disposing of our waste in landfill*. The new Champions will get together on 16 November to discuss how they can make a difference to the recycling picture in East Devon and also how they can help get messages to their community if waste collections are hit by snow and ice as they were last December and January. Councillor Pavey says: “Apart from the problem of finding suitable landfill sites, Devon County Council has to pay a huge amount in landfill tax, so throwing away our rubbish really must be the last option”. Councillor Pavey added “The weekly doorstep collection programme is going well in Honiton and now people are eager to see it extended to cardboard and plastics which will hopefully be rolled out in the next year or so if the trial in Beer is successful. 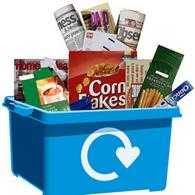 In the meantime Tesco has a skip for both paper and cardboard and you can take all your washed plastic food tubs to Sutton Barton, which is not ideal but is an option not too far away and means you do not have to put plastic containers into your landfill bin”. * Defra stats today show that EDDC has the 6th lowest Residual household waste per household (kg/household) in England at 353.07 kgs. Also Devon as a county has the highest recycling rate at 55%. 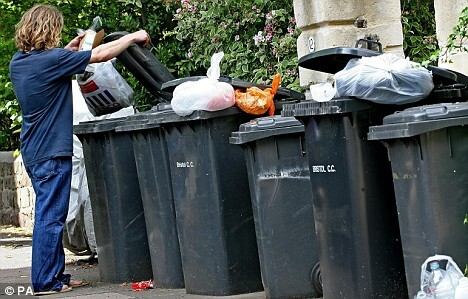 Industry warns communities secretary’s plan to reinstate weekly bin collections will make it harder to improve recycling rates. The recycling industry has launched a blistering attack on the coalition’s plans to encourage councils to reinstate weekly bin collection, warning there is a real danger the move could reverse improving recycling rates…read more here on the Business Green website. I’ve written to my local paper about this. We’re getting more serious about recycling in our house now and have set up a new system in the shed. 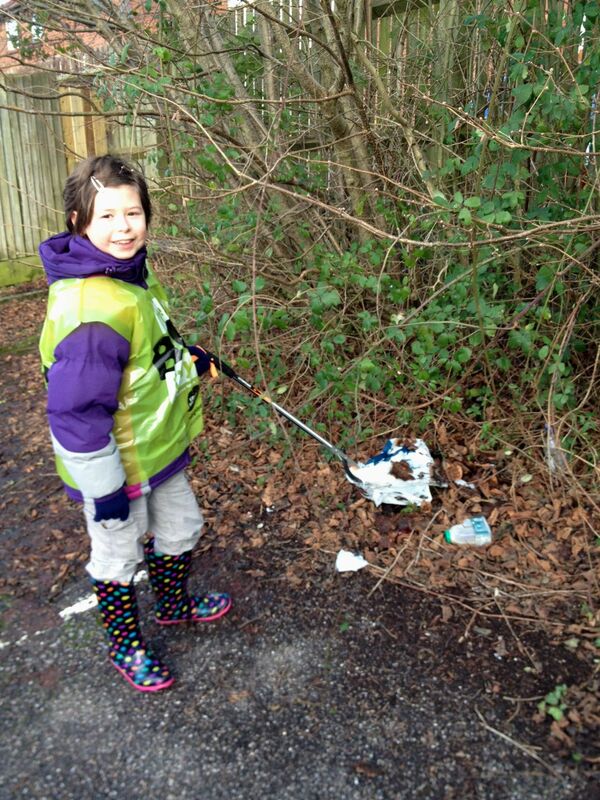 Tasha (aged eight) shows us how we sort out the weekly recycling.